Forklift Certification in Virginia - Be Certified Today! Employers in the state Virginia stick to the OSHA Safety Rule 29 CFR 1910.178 that protects the welfare of all forklift operators in the workplace. There’s a huge risk glued to it when operating forklift especially when it is handled by an untrained individual. That’s the reason why this OSHA rule is created. It instructs all employers to set up a safety training program for the certification of their forklift drivers to become properly trained. An operator without proper certification can pose a risk to the safety of himself and the workers around him. He’s as dangerous as a driver without a license. How to Get Certified Operating Forklift? How to Pass The Forklift Training Practical Test? How to Pass the Written Test? How Long Does the Training Take to Finish? How Do You Get Forklift Certification? As per OSHA standard, (a) formal education, (b) practical test and an (c) evaluation must form part of the training course. You can be trained by your company's safety instructor, you can request to your employer for a schedule of forklift training. OSHA states that it’s the company’s duty to provide training to PIT operators. If you are an individual who is not yet employed, you can go to a training provider in your area. 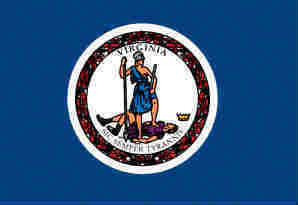 Below, is the list of training schools in Virginia, with addresses and contact numbers. Check with them if they have the schedule available and training program suitable to your requirement. Before registering for a forklift training program, you must understand that the training course must be precise with the type of truck you want to operate. For more details how to become forklift certified, CLICK HERE. Here are the requirements you need to know before enrolling, See the requirements here. Can You Use Your Forklift Licence To Apply for Work in Another Company? Can You Use Your Forklift Certification to Work in Other Neighboring State? Can You Get Certified and Hired as Forklift Operator If You Have DUI? Can You Get Certified Online? Enrolling for forklift certification course can be as educational as your favorite subject during your high school. The forklift training could be taken in a day. It’s brief yet it is as valuable. 610.321.2679 Eastern Lift Truck Co., Inc. Serves DC, MD and VA states Eaheart Industrial Service Inc.
Fort Belvoir, Bldg 189, 5921 16th Street, Fort Belvoir, Virginia. Forklift license card and certificate of certification will be given to successful trainees. Bring those with you if you hunting for a job or show them to your employer if they asked. For Renewal of Forklift Certification, here's the process you need to do: Check It Out Here. How much does certified forklift operator in Virginia receive? The wages may show discrepancy across Virginia. This is due to some reasons like the magnitude of the business, the location where you are working, your professional experience, and your skills and education. You may opt to take a trainer certification course if you are seeking to be your company’s internal instructor, you can receive a higher wage and future promotion. For more information and details about forklift certification standards, laws, and legislation, you may contact these offices.